Join a team or create your own. Find and donate to a climbing team. 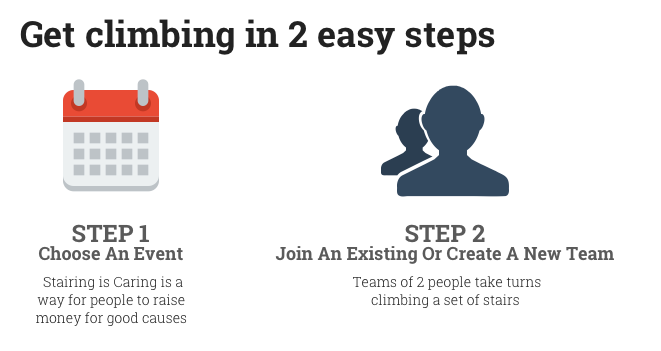 Add your event to the Stairing is Caring calendar. 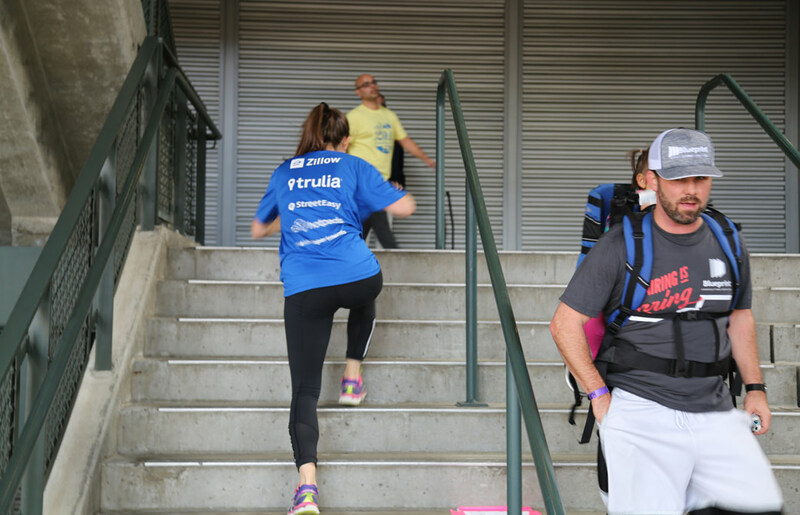 We facilitate stair climbing events to raise money for good causes in a healthy, competitive, and fun way. 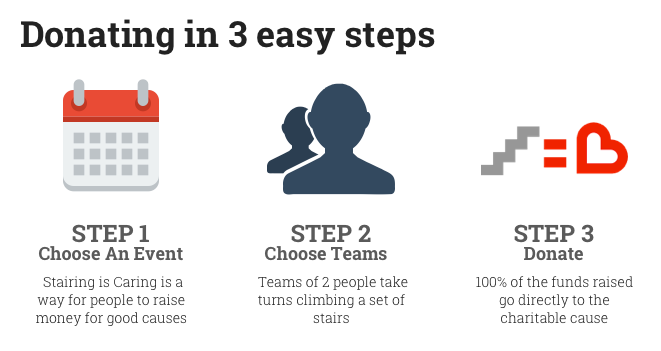 Teams of 2 take turns climbing up and down a set of stairs for 45 minutes. Climbers collect guesses on how many stairs their duo will climb. Pledgers will donate money for their guess. 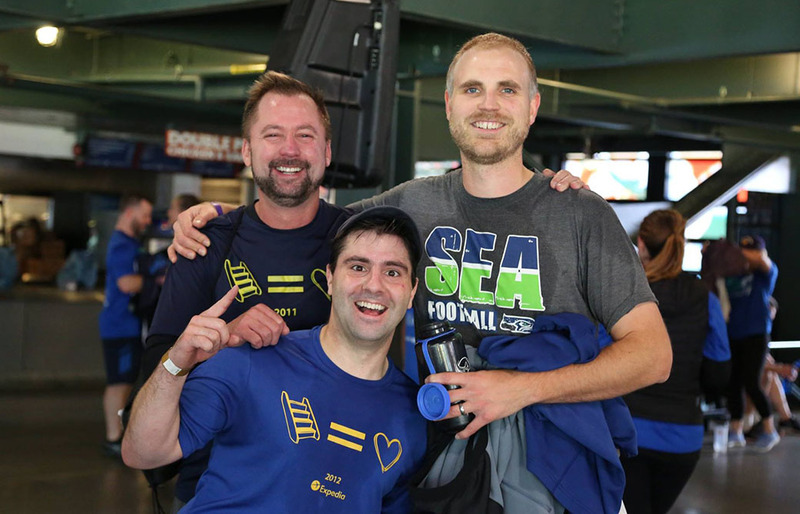 Charities win!